Investor Saar Gummi Czech, s.r.o. The investment of Saar Gummi Czech, s.r.o. into its own compound mixing station was a strategic step to improve its position within the entire group. The total costs, including equipment, reached to approx. € 9.600 million. The main benefit of this project is the decreased dependence of the company on supplied materials for producing rubber seals and the possibility of developing new compounds. 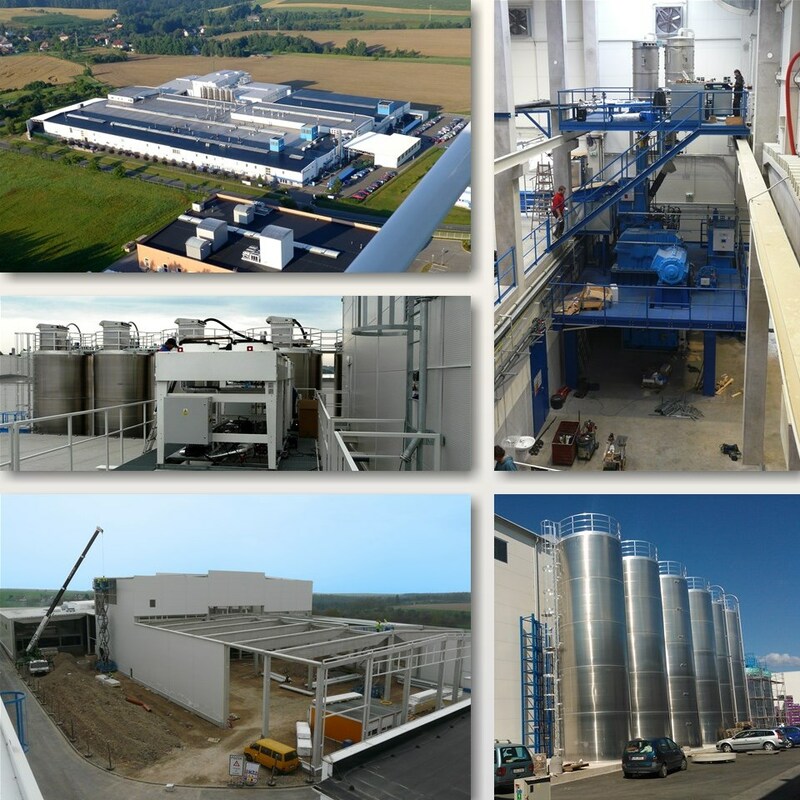 The shape, dimensions and layout of the facility is based mainly on technological requirements. The project also includes the construction of a raw material and product warehouse, technological utilities, laboratories, administrative areas and sanitary installations. Storage silos, oil tanks and underground reservoirs are located outside the building. The structure consists of a prefabricated reinforced concrete frame enveloped with thermal insulating sandwich panels. Supplier of Construction Work STYLBAU, s.r.o.